Greece is a tantalising mix of breathtaking coastline, majestic natural landscapes and staggering ancient ruins. Combine this with never-ending sunshine and unbeatable Greek cuisine, and you have a truly magnificent villa holiday destination. Its mainland is met by radiant islands, scattered in the Aegean and Ionian seas, simply waiting to be explored. Below we've delved into some of the top areas and sights to add to your bucket list! Dive into the best things to do in Greece. Dive into the natural wonders of Crete, Rhodes, Kefalonia and beyond. 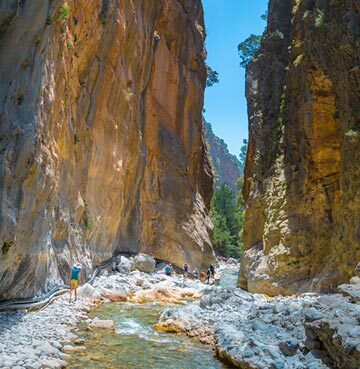 Hiking the impressive terrain of Samaria Gorge on Crete is a treat for the active holidaymaker. Admire the backdrop of dramatic mountains overlooking rocky coves and emerald greenery. This 16km canyon glows with an unmistakable charm, leaving you in complete awe of your surroundings. Wildlife lovers will fall for the Valley of the Butterflies on Rhodes. Enjoy a memorable day out, fluttering into the beautiful green walkways surrounded by waterfalls. Learn all about the butterfly lifecycle, as it evolves from mischievous caterpillar to colourful adult. As the only natural forest of Oriental Sweetgum trees in Europe, you'll feel butterflies of excitement as you discover insects nestled throughout. The nocturnal Jersey tiger moth also lives here - will your keen eye spot one among the greenery? Kefalonia offers up its own natural beauty within the Melissani Cave. This intriguing spot has truly made a name for itself throughout the world. Nature has carved an opening in its roof, letting in an archway of light. With the sun reflecting on the water below, you'll be treated to a mesmerising show. Glide across the turquoise water, taking in the sensational views. These are sights you'll never forget. Thousands of years of history are just waiting to be uncovered. A treat for the curious mind and history buff lies within the ruins of Ancient Greece. Wherever you go, mesmerising visions of the past are never too far away. Be left in awe with a visit to Crete's Minoan Palaces. 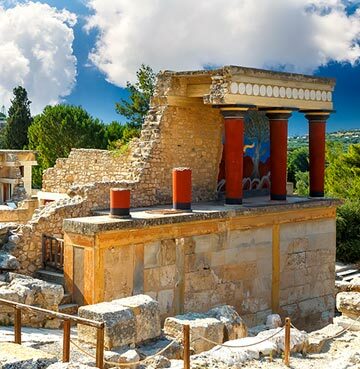 Thought to be Europe's oldest city, Knossos is exciting for all the senses. The remains stand proudly, boasting palace buildings and magical caves alongside mysterious tombs. From adults to youngsters who delve into the subject at school, this promises to be a memorable day out and fun learning experience for visitors of any age! Rhodes really rivals Crete in the ancient history stakes. The Acropolis of Lindos stands as one of the most famous sites in Europe, teeming with history. Bold pillars and arches shine with a radiant gold in the beating sun, showing a true vision of historic beauty. The surrounding blue ocean glistens in the distance - a perfect backdrop to your day of discovery. For classic rugged housing met by Venetian forts, a visit to Corfu Old Town is a must. Views overlooking this Greek gem are simply fit for a postcard and dazzle from the moment you arrive! Meet the friendly locals who'll reveal intriguing tales of their own from times gone by. These winding streets are simply packed with history and stories waiting to be told. Tantalising flavours, unrivalled diversity - Greek cuisine has made a name for itself throughout the world. Enjoying local delicacies is all part of your cultural experience and will be a highlight of your Greek getaway! Treat your senses to a taste sensation with fresh dishes prepared by skilled local chefs – or cook up your own feast in your villa kitchen! Sample freshly picked olives – a true Greek staple. Whether enjoyed as a pre-dinner snack or during a meal, they're a delicious compliment to your culinary adventure. For the main event, feast on traditional moussaka, filled with fresh aubergine and lashings of cheese. Or perhaps something from the sea makes your mouth water even more? There's fresh fish aplenty on Greek menus, including tempting calamari and octopus. Sink your teeth into meaty Souvlaki - these zesty kebabs are often complimented by tzatziki, a tasty yoghurt-based dip made using cucumbers and garlic. 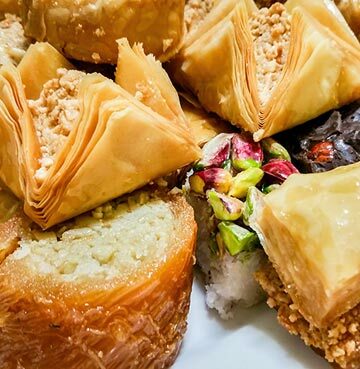 Last but certainly not least, enjoy the irresistible sweetness of the legendary baklava. Created with care and passion, this luscious treat is the ultimate Greek dessert. Or perhaps it'll make a delicious souvenir for your loved ones at home? If you can resist eating them all first, that is! Made using nuts and syrup encased by layers of pastry, it pairs perfectly with a freshly brewed traditional Greek coffee. Let the tasty aromas of this combination whisk your senses away! Whether you head to the lively shores of Kefalonia, the turquoise waters of Lefkas or the intriguing coves of Zakynthos, you'll be truly captivated by your surroundings in Greece. Take a stroll and feel the sand beneath your feet, as the sun sets over Halkidiki's horizon. Be dazzled by the picture-perfect views of Egremni Beach on Lefkas or explore the mesmerising landscape of Shipwreck Beach, sitting famously on Zakynthos. There's so much to discover on Greek shores! Corfu may be known as a bustling holiday destination, but it has hidden surprises for you to discover. Halikounas and Yaliskari shine on the west coast, offering up perfect sands for sunbathing and idyllic ocean waters for swimming. The sandy havens on Rhodes are equally as tempting. Pefkos is known for its pristine beaches and calm sea, making it a marvellous spot for families. Or perhaps you fancy a day filled with thrills? Dive into the sea for some adventurous swimming, or opt to snorkel below the surface – you'll be treated to striking sights while enjoying an adrenaline buzz! Immersing yourself in these stunning shores will leave you with lasting memories you'll cherish for years to come. 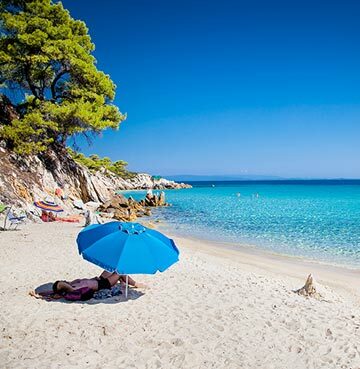 For even more inspiration, take a look at the Best Beaches in Greece.